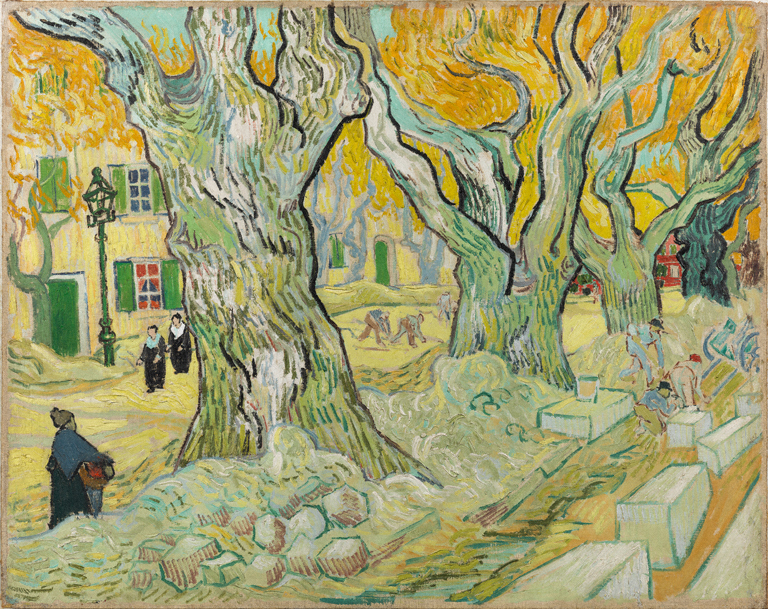 Throughout his career, van Gogh was very interested in depicting the lives of the working class. In The Road Menders, he paints laborers in the French town Saint-Rémy. How many different workers can you find in this composition? Look at the figures’ postures, and their surroundings. What words would you use to describe the characters? How do you think van Gogh felt about them?